My First Photo on the Blog! For some completely unknown reason, we ended up traveling to and from St Petersburg in ‘Club Europe’. It transpires that we actually booked this but neither of us remember doing that and the prices didn’t seem to reflect it. So it felt just like a free upgrade! Anyway, we weren’t complaining. At Heathrow airports and on our subsequent flight, we enjoyed free croissants in a fancy-pants business lounge, an extra large seat, free champagne and a delicious three-course lunch! I could get very, very used to travelling like that! And what a perfect start to a weekend away! 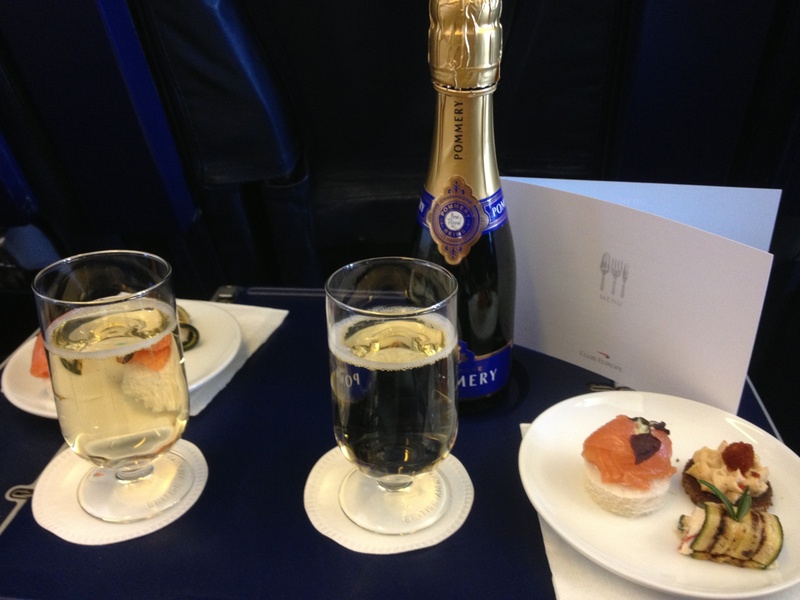 This entry was posted in Europe, Flights, Travel and tagged Club Europe, Flying, London Heathrow Airport, St Petersburg. ← Long-Haul Flights: Love or Hate?